Whipped Cream. OMG! I could sit and eat it with a spoon. As far as I am concerned, there is nothing that tastes more heavenly than homemade whipped cream. Once I learned how to make it, and found out how truly simple it is, I never wanted to use Cool Whip again. All you need is a small carton of heavy whipping cream and some sugar. 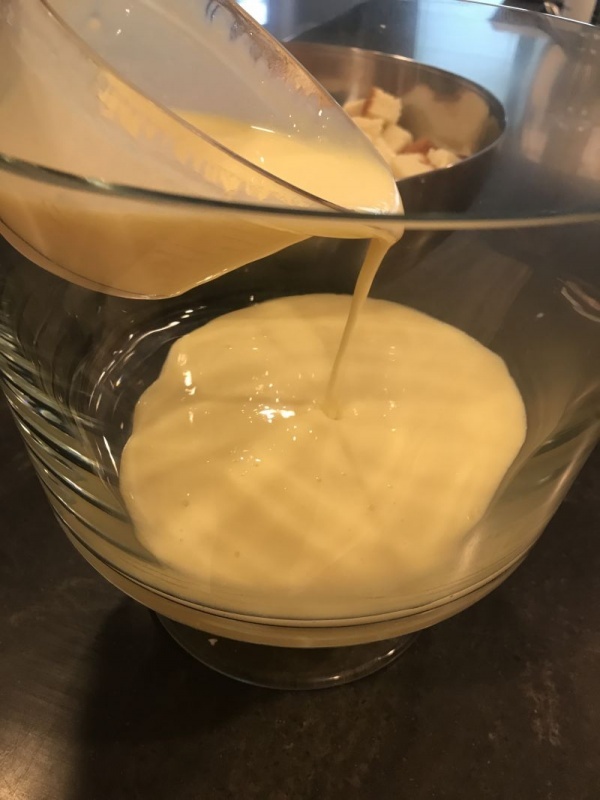 Make sure the whipping cream is chilled, and just whip with an electric mixer; adding granulated sugar to taste as you go. The only thing you have to be careful of is whipping it too much, or you will end up with butter! Soft peaks are wonderful, and when you can pull the beaters out and those pretty peaks stay in place, it is perfect. You need lots of whipped cream for this beautiful Fourth of July trifle. 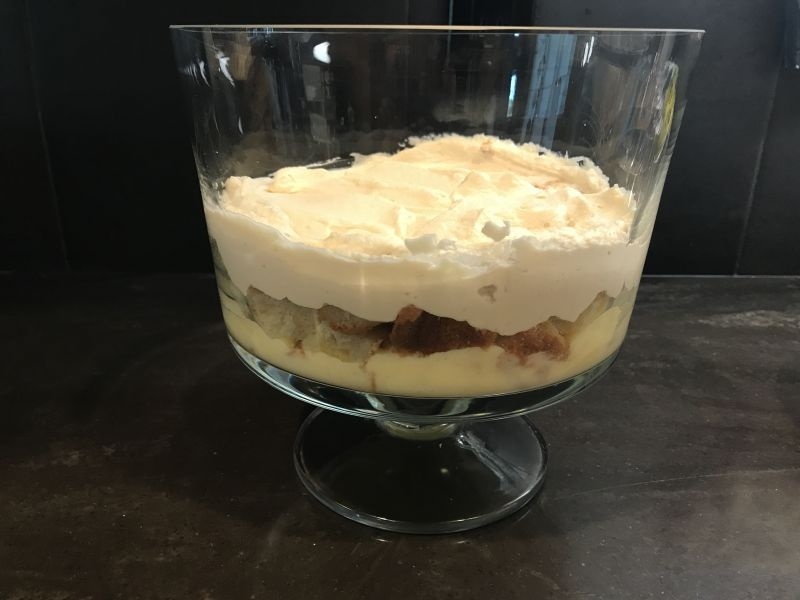 There truly isn’t a better way to eat fresh whipped cream than in a fresh fruit trifle! They look gorgeous, but are so easy to make that your guests will think you spent hours! 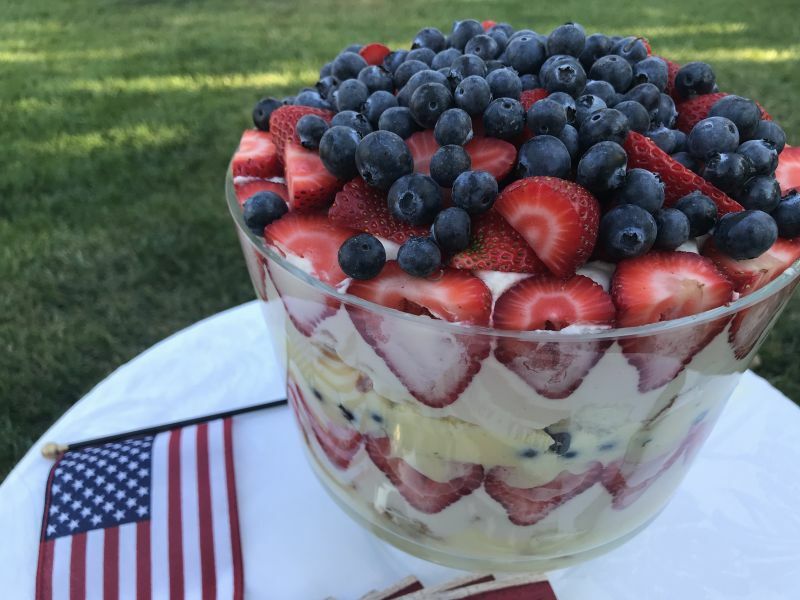 The Fourth of July is next week, so today’s trifle is going to be Red, White, and Blue! 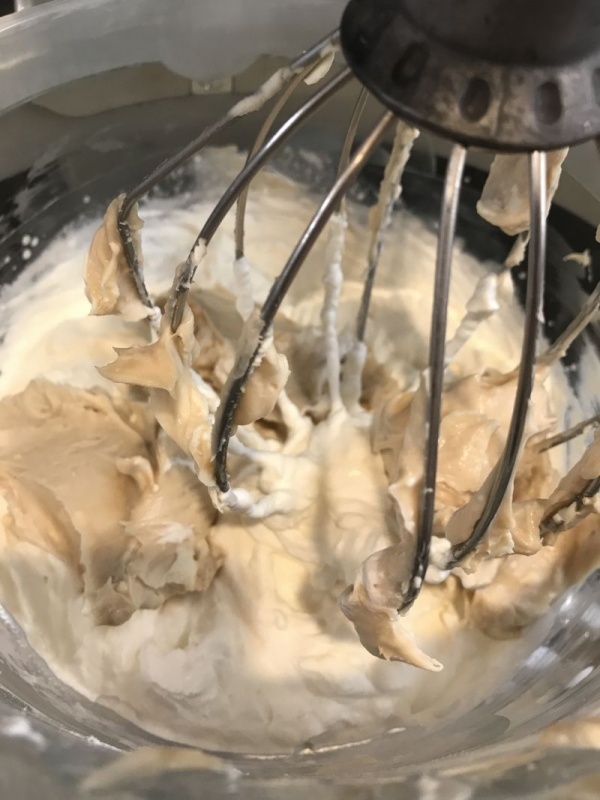 Since I already told you how to make homemade whipped cream, I’m going to teach you how to make a version of stabilized whipped cream as well. Stabilized whipped cream is just a sturdier version and holds its shape exceedingly well. You can even use it to ice a summertime cake, for a light and refreshing change from standard frosting! 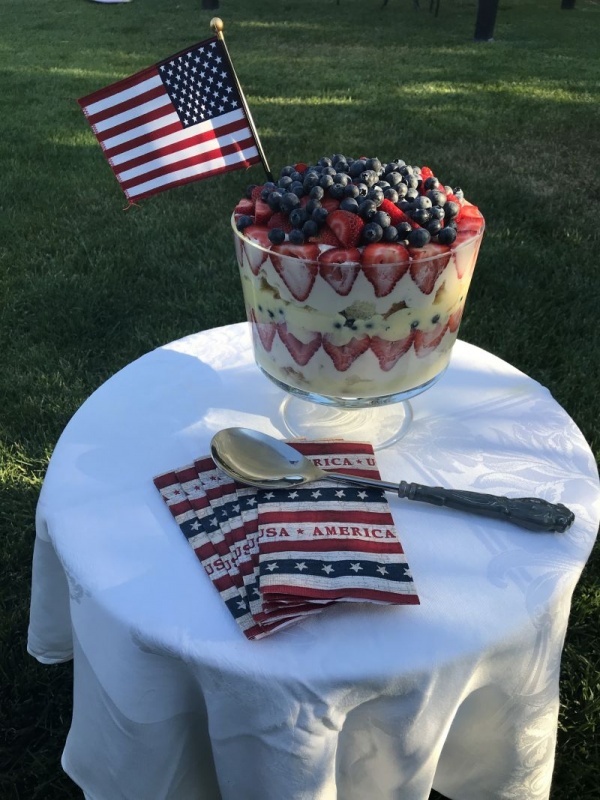 Although this trifle is made with fruit that reflects the patriotic holiday that’s right around the corner, you can make it out of other fruits as well. 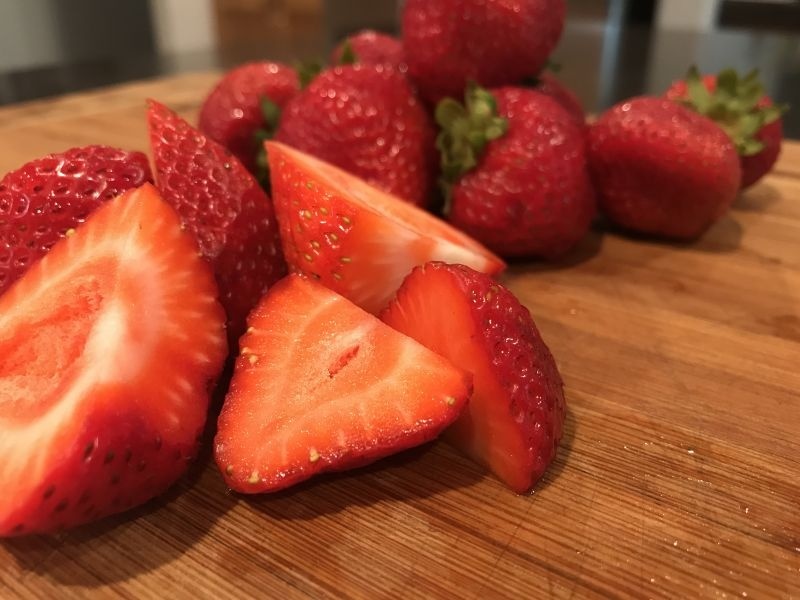 Try banana and strawberry, raspberry and blackberry, strawberry, blackberry and raspberry, freshly sliced nectarines and peeled/sliced peaches….you get the idea. It does not, however, work with citrus fruits, pineapple or melons. So make your trifle exactly how you like it with the fruits you prefer, and amaze your family and friends. 1. 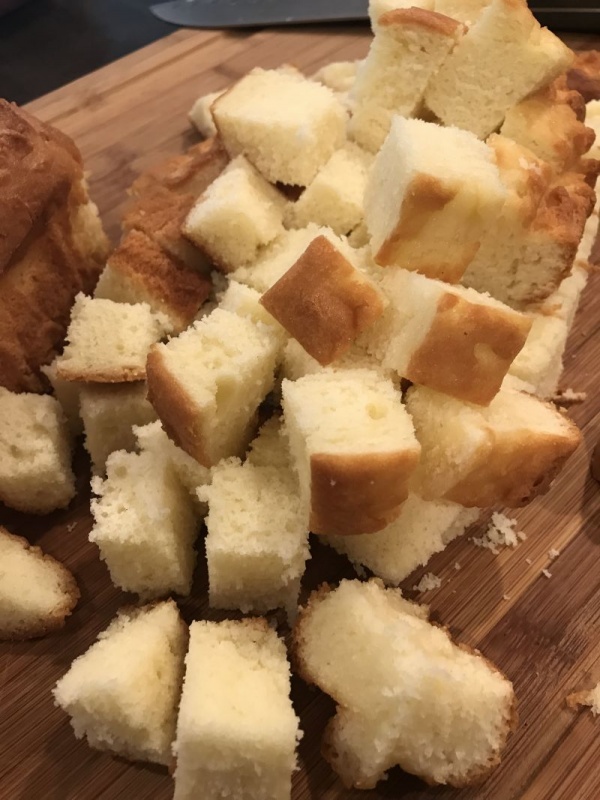 Cut the pound cake into cubes and set aside. 2. In a large mixing bowl or stand mixer, whip the cream cheese, powdered sugar, and vanilla until fluffy and smooth. Remove from bowl and set aside. 3. Using the same bowl you mixed the cream cheese mixture in, place the whipping cream. 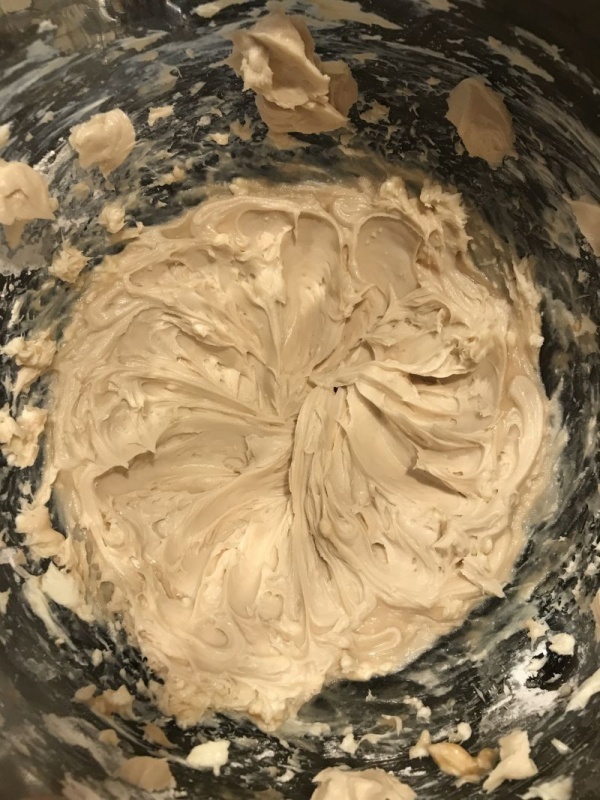 Whip with the electric mixer or stand mixer until soft peaks form. 4. 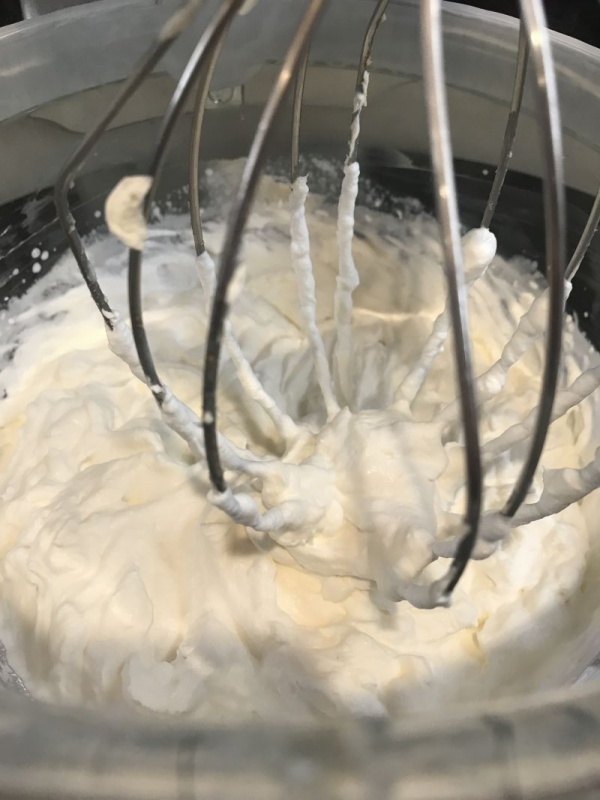 Add the cream cheese mixture by the spoonful around the whipped cream and mix until semi-stiff peaks form. 5. Place 1/3 of the cooled pudding in the bottom of the trifle bowl. This will be about 1 cup of the prepared pudding. 6. 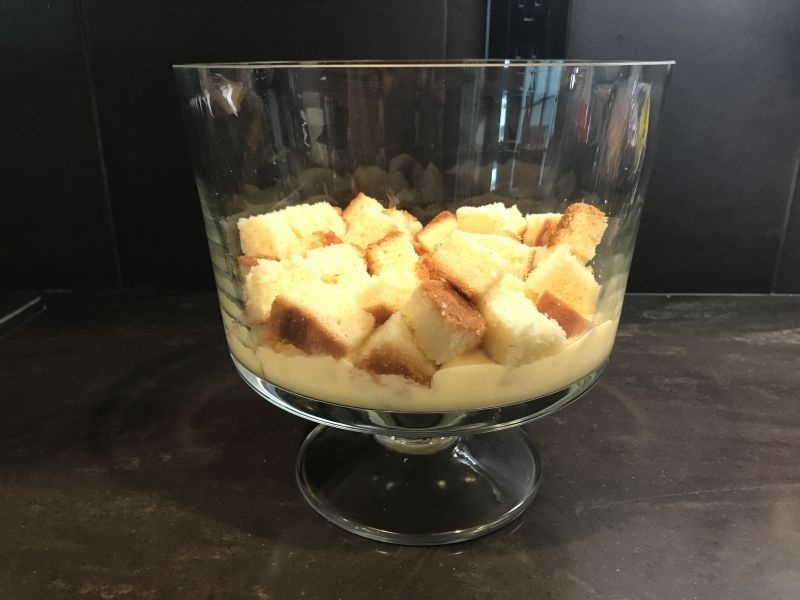 Place 1/3 of the cubed pound cake over the top of the pudding, distributing evenly to cover the pudding. 7. 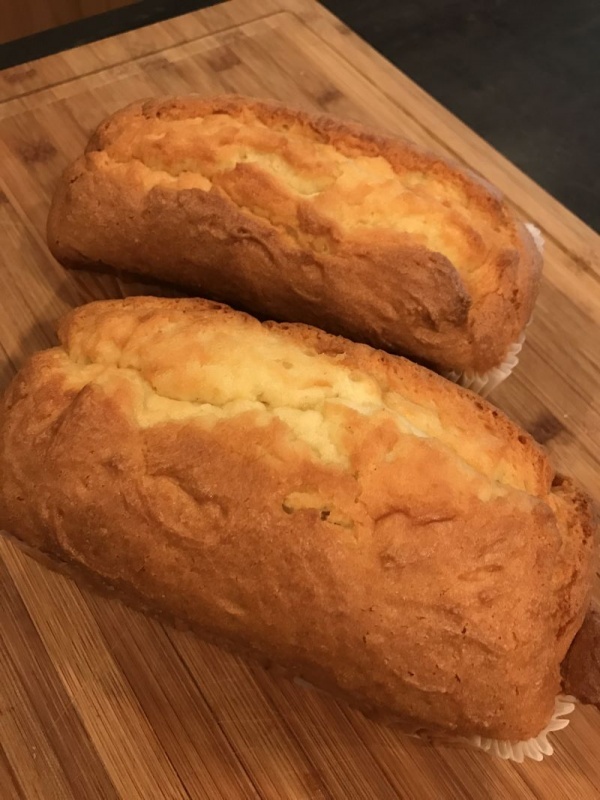 Spoon dollops of the stabilized whipped cream over the pound cake cubes and spread evenly with the back of the spoon or a spatula. 8. 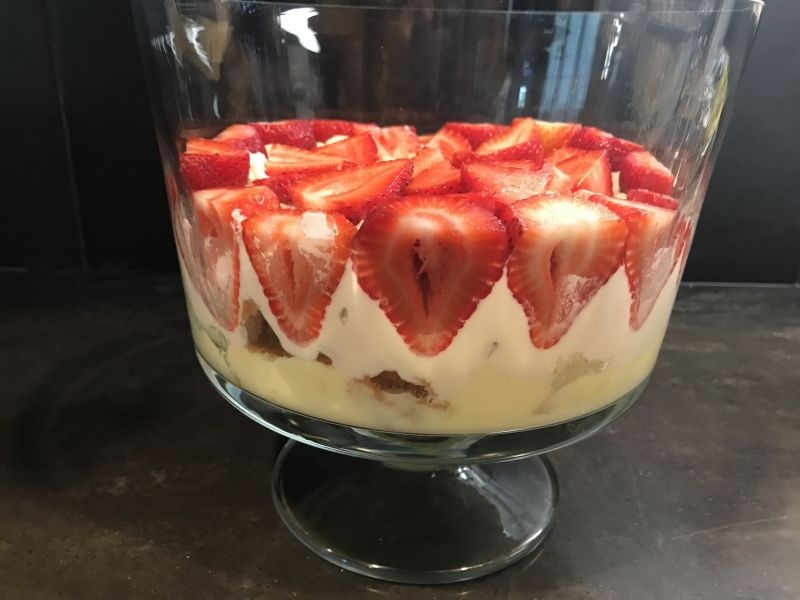 Place half strawberries around the edge of the bowl, with the cut side against the glass, and push down towards the pudding layer. Try and use uniformly sized strawberries for this part, so you make a pretty border pattern. Scatter a layer of smaller sized strawberries across the surface to cover the stabilized whipped cream. 9. Sprinkle 1/3 of the blueberries over the top of the strawberries. 10. Repeat steps 5 through 9 two more times to make 3 complete layers. 11. Chill for 1-2 hours prior to serving. Serve this delicious, fresh dessert by scooping out each portion with a large spoon. We like to put a dollop of fresh whipped cream on top! This dessert is so easy to make you can whip it up in a matter of minutes. It looks beautiful and tastes light and fresh! I know you are going to love it! I used to make trifles all the time. Always a hit at a cookout.